We accept all major credit/debit cards Use PayPal express here! Technics Software found in loft! The song was written by Jim Capaldi, Paul Carrack, and Peter Vale, and produced by the Eagles, Elliot Scheiner, and Rob Jacobs. 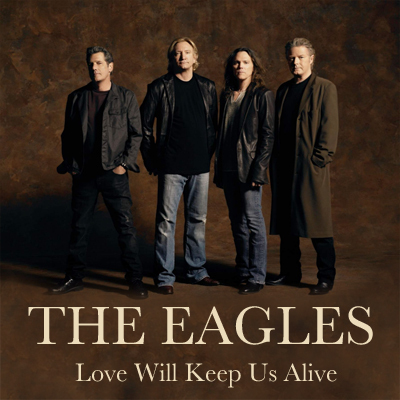 It was first performed by the Eagles in 1994, during their "Hell Freezes Over" reunion tour. Although the song was never formally released as a single in the US, and thus was not eligible to appear on the US Billboard Hot 100 under the rules then in place, it spent 3 weeks at number 1 on the Billboard Adult Contemporary chart in early. In the United Kingdom, "Love Will Keep Us Alive" was issued as a single and peaked at number 52 on the UK Singles Chart. Paul Carrack also recorded the song for his 1996 album, Blue Views. You will find this new style in under our 'Keyboard Software' section. Just look for your instrument brand (Yamaha, Korg, Ketron or Roland) and the 'Single Styles' section! People we like to do business with!